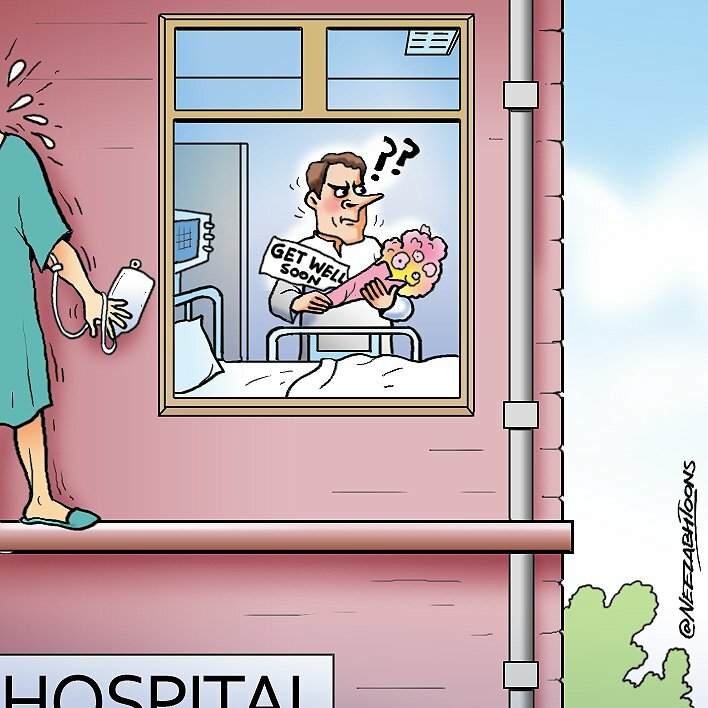 The best cartoons of the day, chosen by editors at ThePrint. 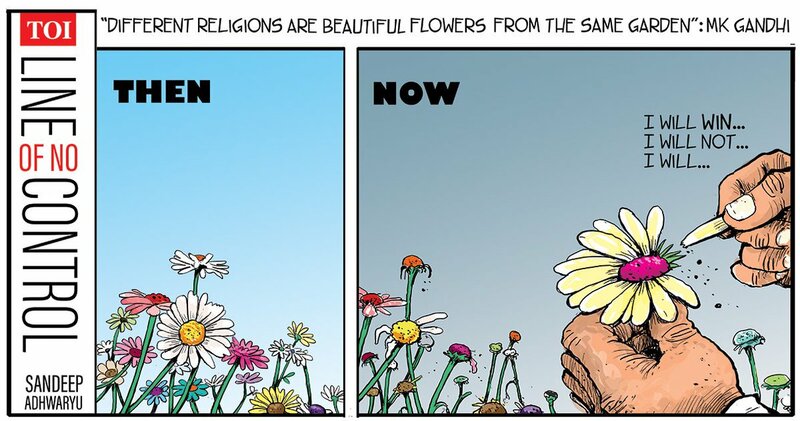 The selected cartoons appeared first in other publications, either in print or online, or on social media, and are credited appropriately. 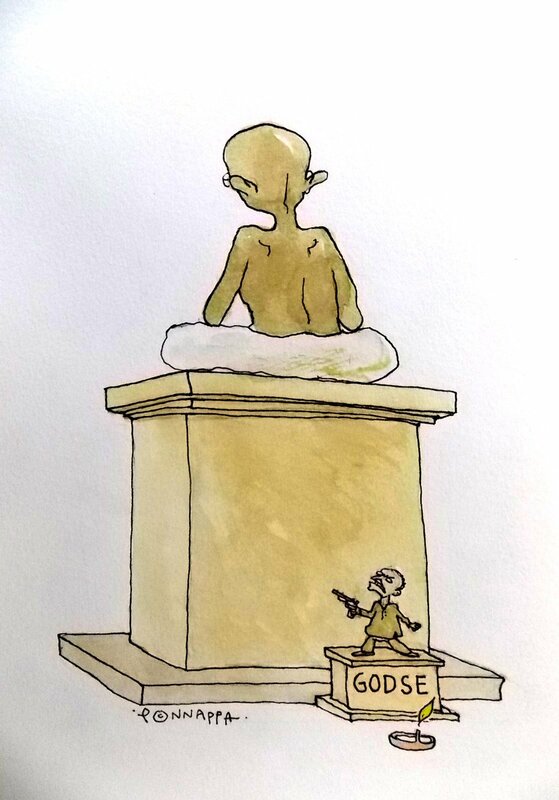 On the death anniversary of Mahatma Gandhi, Sandeep Adhwaryu for The Times of India depicts how communal politics in today’s India has corroded the Mahatma’s ideals for a secular state. 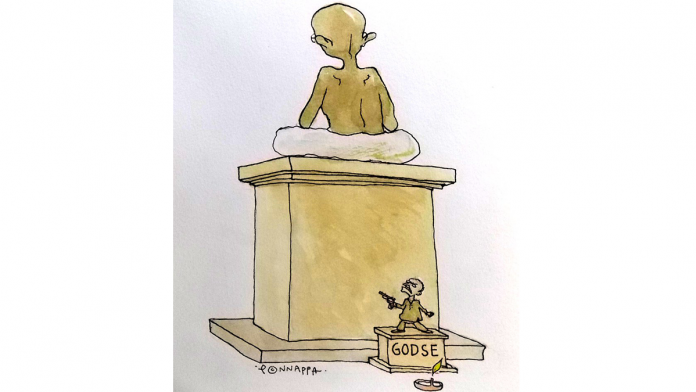 Nala Ponnappa wonders what Martyr’s Day has come to, what with the Hindu Mahasabha paying tribute to Nathuram Godse, the assassin of Mahatma Gandhi, by firing at a Gandhi effigy with an air gun. 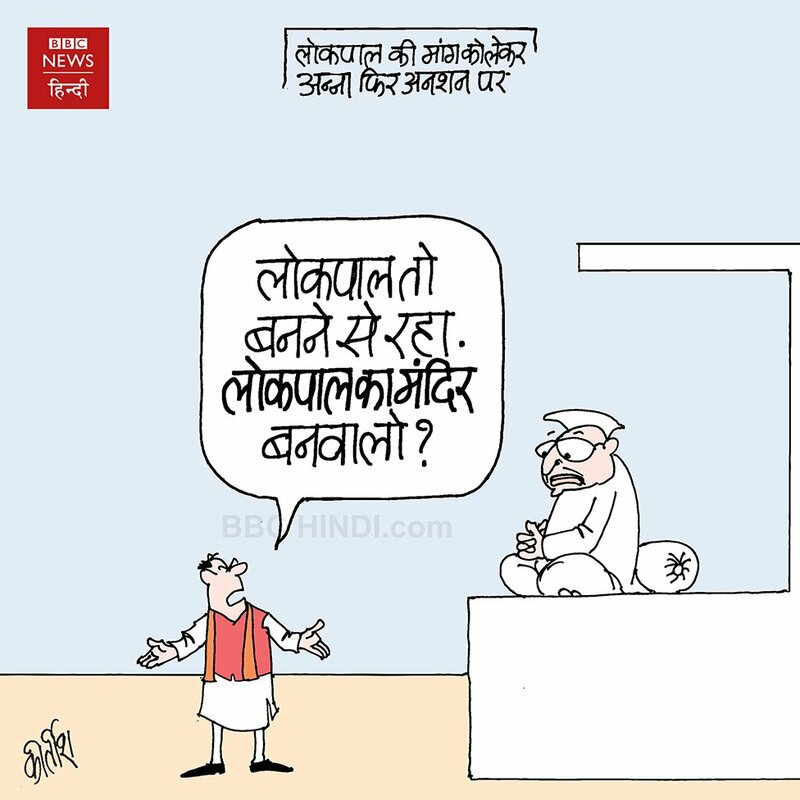 Kirtish Bhatt for BBC News Hindi takes a dig at the chorus for a Ram Temple in Ayodhya, juxtaposing it with the anti-corruption campaign once led by social activist Anna Hazare. Neelabh Banerjee on the fallout of the controversy between Goa Chief Minister Manohar Parrikar and Congress president Rahul Gandhi. Parrikar had Wednesday hit out at Gandhi over his remarks that the Goa CM had nothing to do with the Rafale deal when he had served as the defence minister. Gandhi’s remarks had come on the day he had visited an ailing Parrikar in Goa. 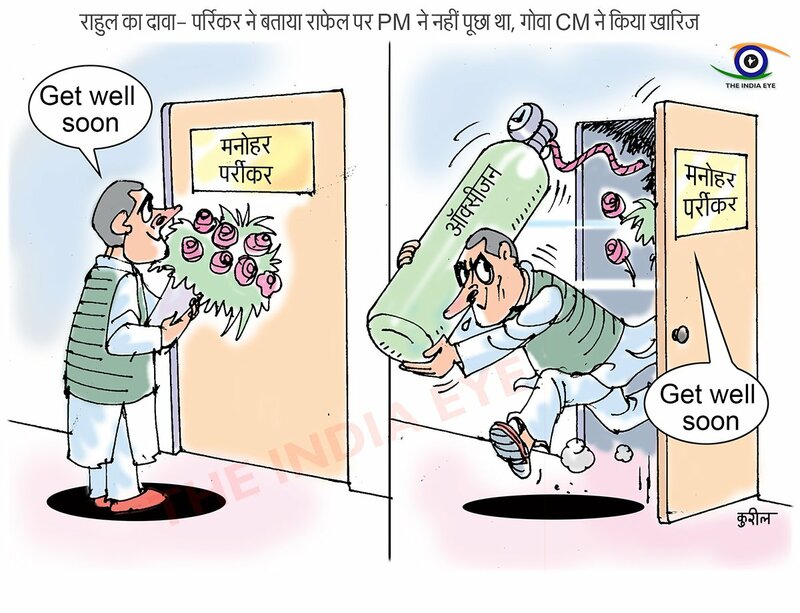 Manoj Kureel for The Indian Eye also takes a jibe at Rahul Gandhi over his controversial Parrikar comments. Prime Minister Narendra Modi recently conducted an interactive session with students at an event called’ Exam Pe Charcha’. 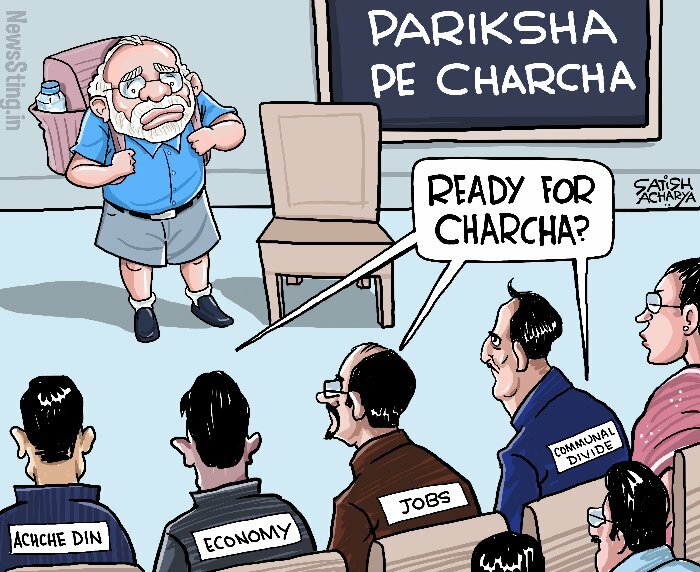 Satish Acharya takes a dig at the PM who has not addressed issues such as the communal divide, unemployment and the lack of jobs. 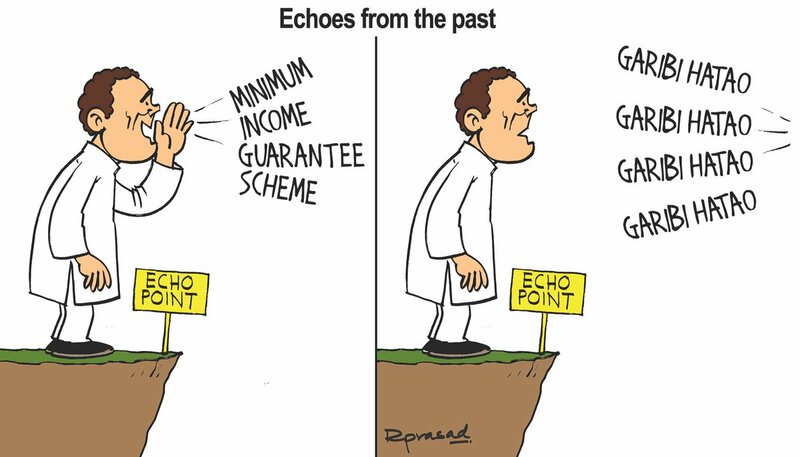 R. Prasad for The Economic Times suggests that Rahul Gandhi’s proposal of a Minimum Income Guarantee (MIG) scheme is an ‘echo from the past’ as it appears to be similar to grandmother Indira Gandhi’s Garibi Hatao call.